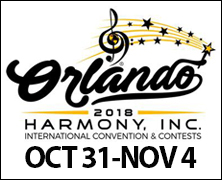 It’s the time of year when we’re learning new music that we plan to sing at our upcoming Area convention. With apologies to Elizabeth Kubler Ross, I have noticed that our learning process can often follow stages similar to her “stages of grief” – and, like knowledge of the elements of that grieving process can help us successfully navigate through difficult times, understanding the framework with regard to our musical process may likewise be helpful. Let’s see how they compare! Denial – This stage expresses itself in our learning process as giddy excitement about the new songs. We are thrilled to have new music to learn, and really like the idea of having different themes as our focus. Many members communicate their love of the new songs, and nothing but joy in the new adventure that is set before us is expressed. Bargaining – OK, we know we are not bringing our best, so we make excuses and deals with our section leaders, director, and ourselves that we will tackle and triumph over key phrases. We swear we will use the tools and learning methods at our disposal to improve. We will sing against the other part tracks, we will use pitch tracks to make sure our tonal center is where it should be. We will hold up our end of the bargain in making this beautiful music together. Depression – Even though we now have solidly learned our words and notes, we are continuing to struggle with the artistry we know we can bring. We, therefore, repeat and repeat and repeat work on these songs until we are sick of them. Why did we ever think we liked these songs? Acceptance – Finally, finally, as we work our way through the process, we notice that the song has been fully integrated. What was so difficult is now second nature. The work and planning on our stealth breaths and pitch issues has paid off, and technical excellence has become habit. More than that, although we still sing the songs frequently, we have come to “live” them so that each time we sing, each song is fresh and new. The songs have become a message and gift for our audience. I love looking back in time at songs that once were challenging and that I can now simply perform from the heart without thinking twice about it. 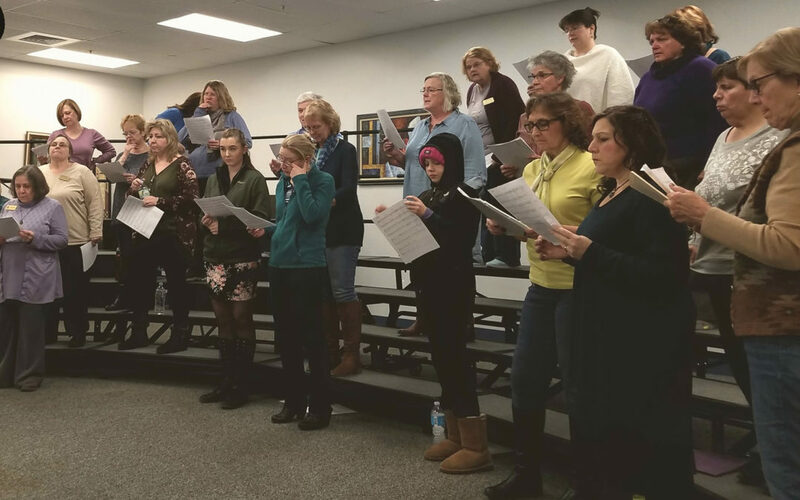 It’s part of the magic of New England Voices in Harmony: that this group of women with different talents, skills, available time, and personal challenges can work our way through the learning process – however we do it! – to come together and make amazing things happen. So very true!!! Such a mix of emotions when starting a new song. Love it when it all finally comes together, pure magic!!! OMG…..I have worked through these stages before! Even though I’ve experienced one and worked my way through, I can expect it to recycle and nudge me again. Mastery takes work! But the joy at the last stage is worth it all. So insightful! Oh this is so true. Yet in black and white it’s doable.